Mumbai: Reliance Jio Infocomm on Friday said the deadline to buy Jio’s 303 (and other) plans had been extended till April 15 after the unprecedented rush to sign up for Jio Prime offer in just one month. “Reliance Jio Infocomm announced today that in just one month, over 72 million Jio customers have signed up for Jio Prime, making it one of the most successful customer privilege programmes anywhere in the world,” the company said in a statement. “Considering the unprecedented demand for enrolling to Jio Prime and doing the first recharge, Jio has extended the deadline for purchasing Jio’s Rs 303 (and other) plans till April 15. This extension will provide the necessary breathing room for users to avoid service disruption during the transition from free to paid services,” the statement added. Jio also announced the Jio Summer Surprise for its Jio Prime members. “Every Jio Prime member, when they make their first paid recharge prior to April 15 using Jio’s Rs 303 plan (or any higher value plan), will get services for the initial three months on a complimentary basis. The paid tariff plan will be applied only in July, after the expiry of the complimentary service,” the statement said. 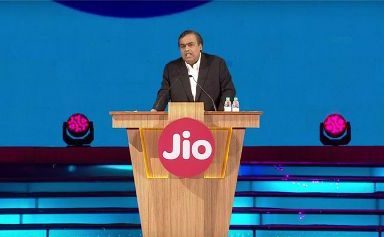 Reliance Industries Chairman Mukesh Ambani in a letter to the Jio customers said: “I want to personally thank you for choosing Jio, and for being a founding member of the Jio movement. A movement to transform India. A movement to empower and enrich each one of you with the revolutionary power and possibilities of digital life. “Over the past few days, we have been deluged by millions of customers queuing up to purchase Jio’s popular Rs 303 and other tariff plans. This nationwide trend indicates that very many customers are still in the process of purchasing Jio Prime and their first paid tariff plan. “Jio has created the world’s largest greenfield 4G LTE wireless broadband network, with over 100,000 mobile towers. And we will add another 100,000 towers to our network in the coming months. This greenfield investment – of over Rs 200,000 crores – is the largest anywhere in the world,” Ambani said.